Why should I join the Honolulu Festival? There is a reason why we recommend participating in the Honolulu Festival: It is the invaluable experience and inspiration you get through cultural exchange happening at the festival. Below is a list of more specific reasons why you might want to join the Honolulu Festival. Great chance to give a performance to the audience coming from all over the world! Hawaii is the state popular for its resorts among people around the world. 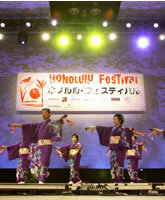 Honolulu Festival, taking place in the heart of the beloved state, is attended by not only locals but also tourists from the mainland US, Asia and Europe. 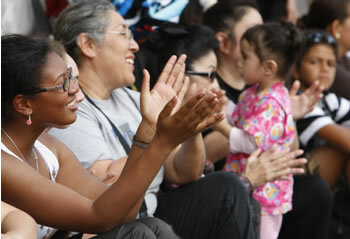 The performers are highly diverse too; about 5,500 performers from Japan and other Pacific Rim countries get together in Hawaii. 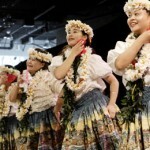 Honolulu Festival provides a great opportunity where people are encouraged to share their culture and tradition regardless of their backgrounds. In order to accommodate the multinational audience, we provide a bilingual (English and Japanese) website, announcements and emcees for each event during the festival. 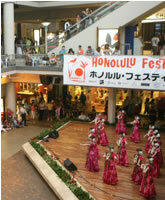 Honolulu Festival provides several performance venues, each of which with a large potential audience. 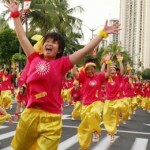 The Grand Parade takes place on Kalakaua Avenue in Waikiki, where you get to perform under the blue sky, next to the ocean and in front of a big audience. Performance stage at the Hawaii Convention Center, the destination of large-scale business meetings, international conferences and exhibitions. 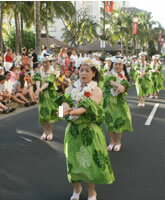 We provide venues around Waikiki, where you can expect a large number of locals and tourists as your audience. 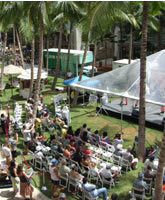 Performance stage located in Waikiki Beach Walk is filled with Hawaiian vibe, palm trees and the blue sky. 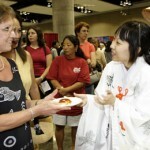 For travelers looking for more than just seeing the sights, Honolulu Festival offers them an inspiration that can make their trip even more worthwhile. Honolulu Festival is one of the biggest events in Hawaii, where people get to experience a broad range of cultures and traditions, as well as sharing their own. Such a cultural exchange will leave you moved, and will give you an unforgettable experience. The Aloha Spirits, deeply rooted in Hawaiian culture, will welcome everyone and bring them joy and inspiration.